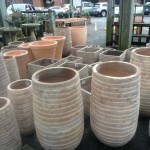 Soon we’ll be unloading spring shipments of shrubs, herbs, flowers for garden beds, pots, and more. For now though, two large shipments of planters and statuary have arrived, and we’re waiting on a third from a new supplier. 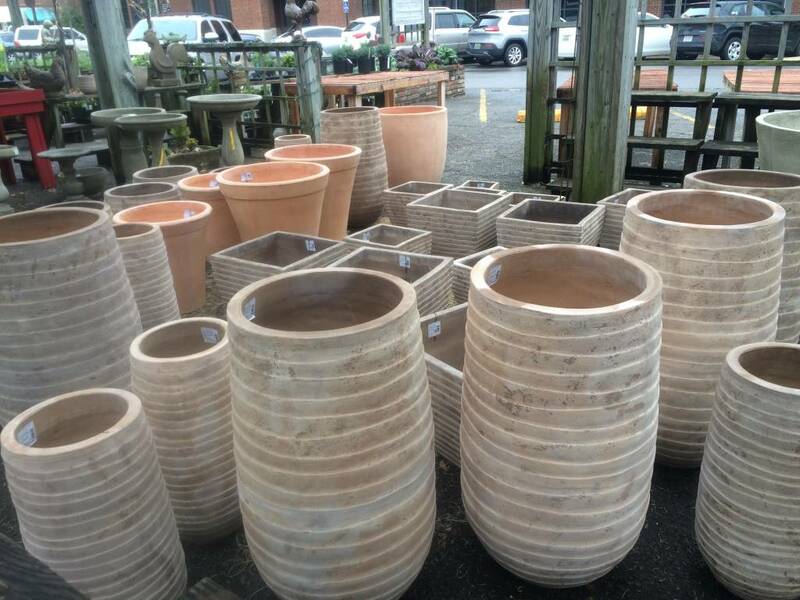 There are cast stone planters, but light weight alternatives are available as well, easy on the wallet, (And the back!) too. 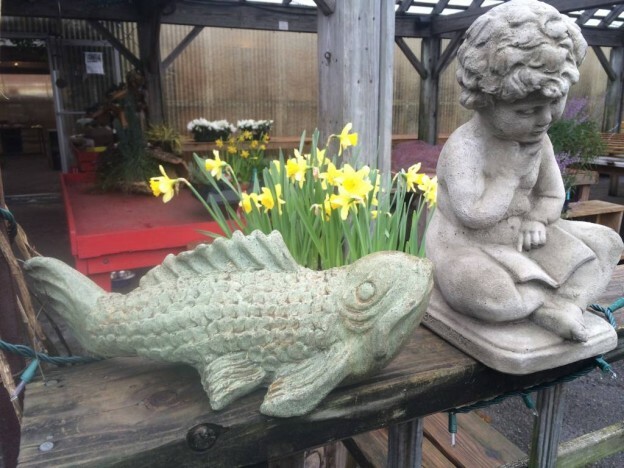 Winter is a good time to take a walk through your yard with a critical eye. Might there be a spot for a bird bath? 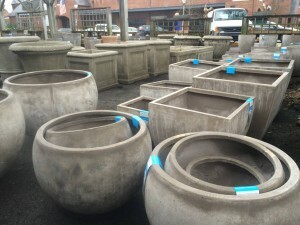 One can easily be worked into existing planting beds near the cover of shrubbery, or used as a focal point to draw the eye to a particular area of your landscape. 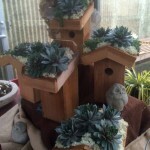 Try to locate it where you can see your feathered friends from inside your home as well. 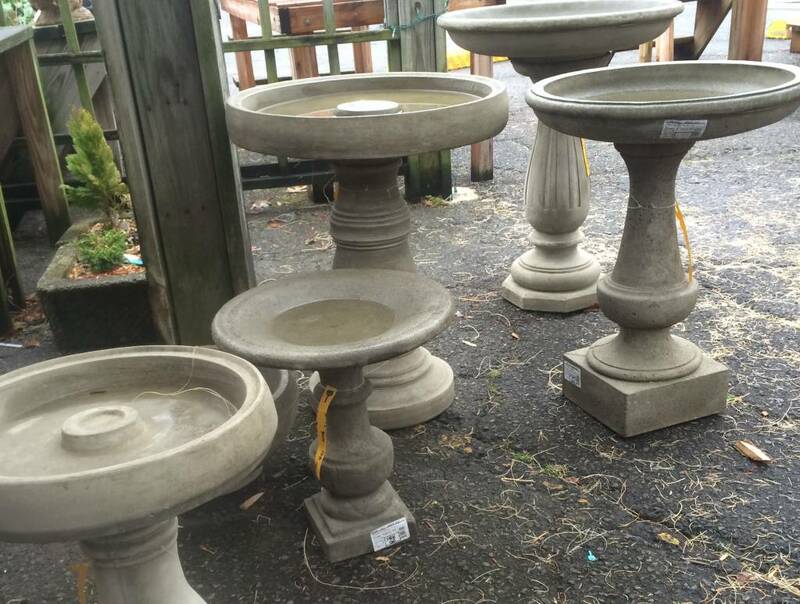 These cast stone bird baths are classic shapes, and will add timeless beauty to your garden. 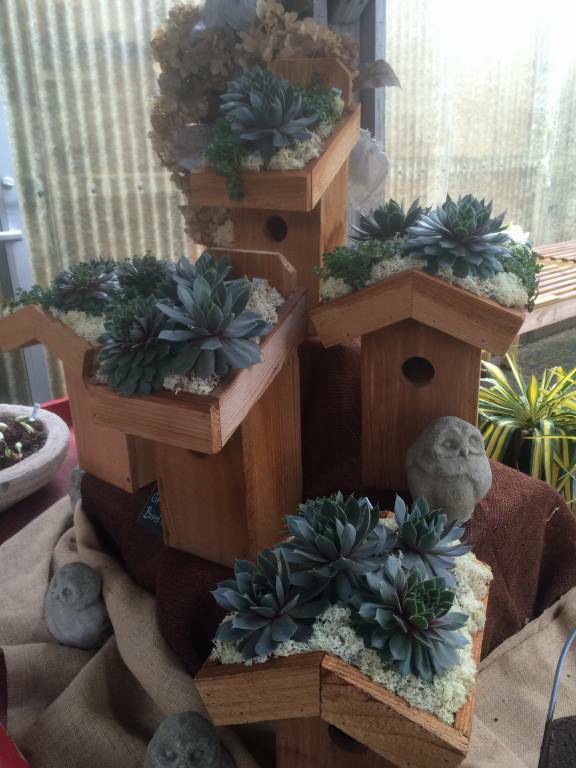 And, while we’re on the subject of birds, why not give them a place to live by adding a succulent roof bird house. 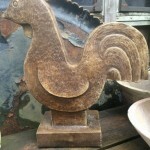 They make quite a stylish abode! 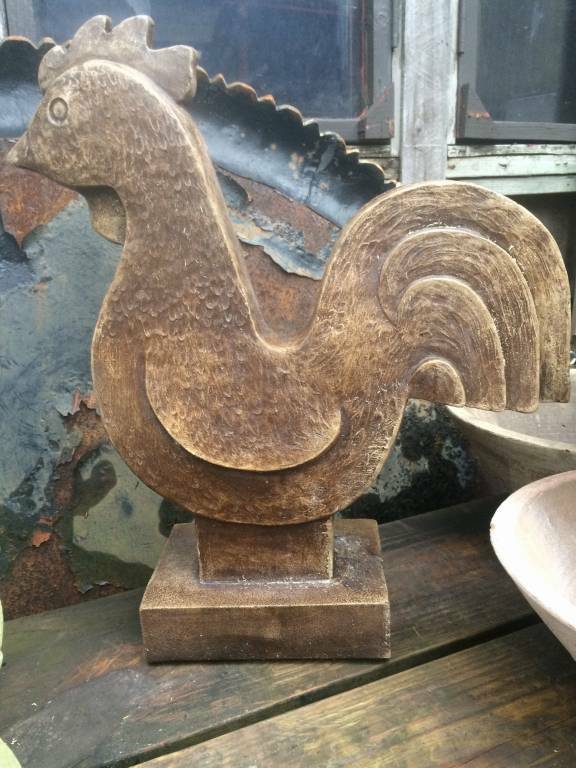 Do you or someone you know have chickens? 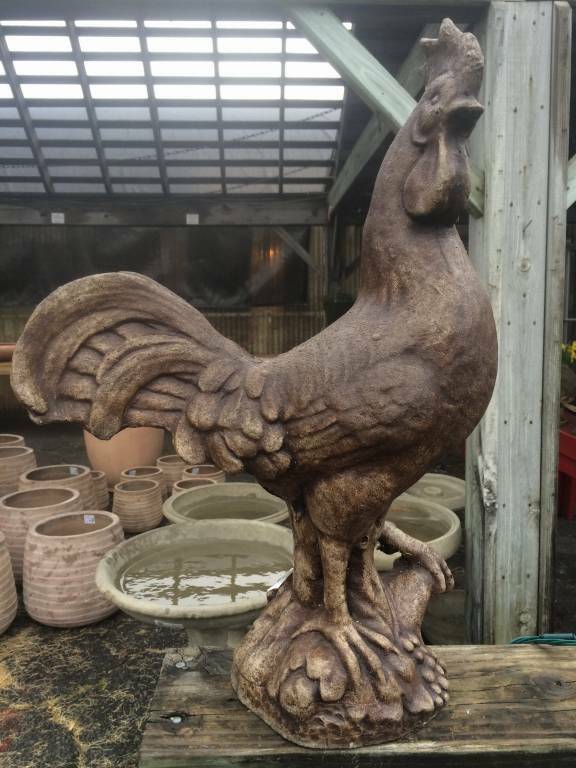 So many people do these days, and our statuary suppliers have jumped on the bandwagon, offering Henrietta the hen, and two versions of a rooster. 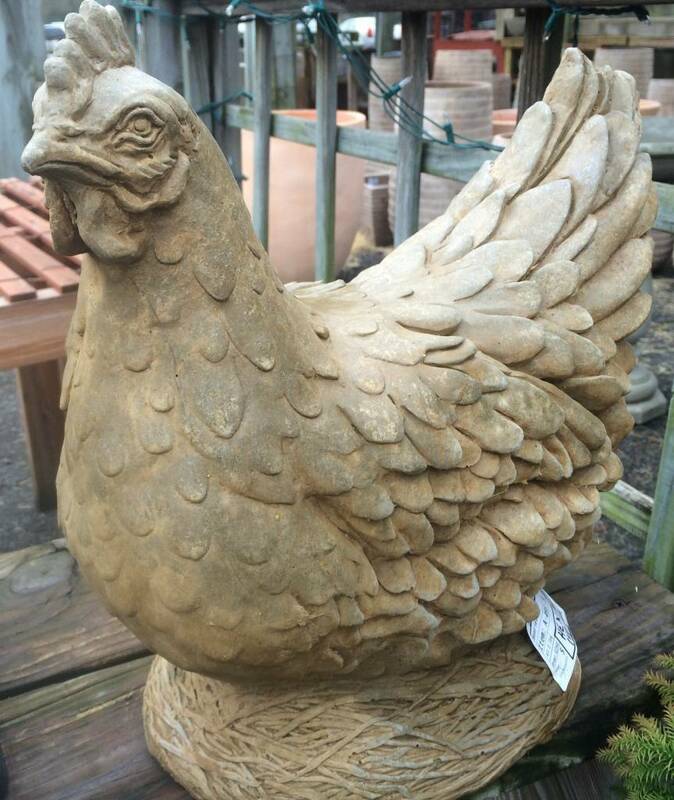 If you fancy a conversation piece for your yard, one of these just might fit the bill! 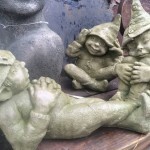 Any of them would also make a great gift, and since they’re cast stone they are meant to last a long, long time. 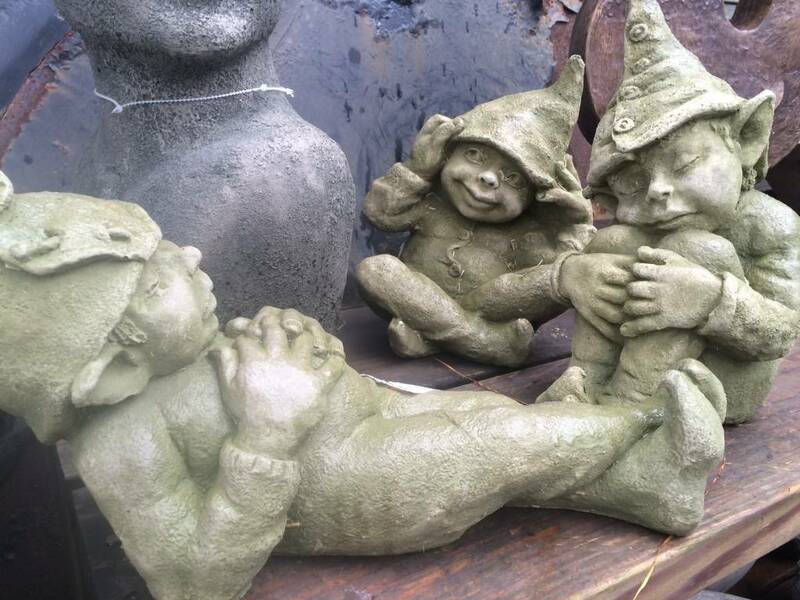 Planters, bird baths, chickens, roosters – and I haven’t even mentioned our trio of charming gnomes – what fun it would be to come across one or more of them in a garden! 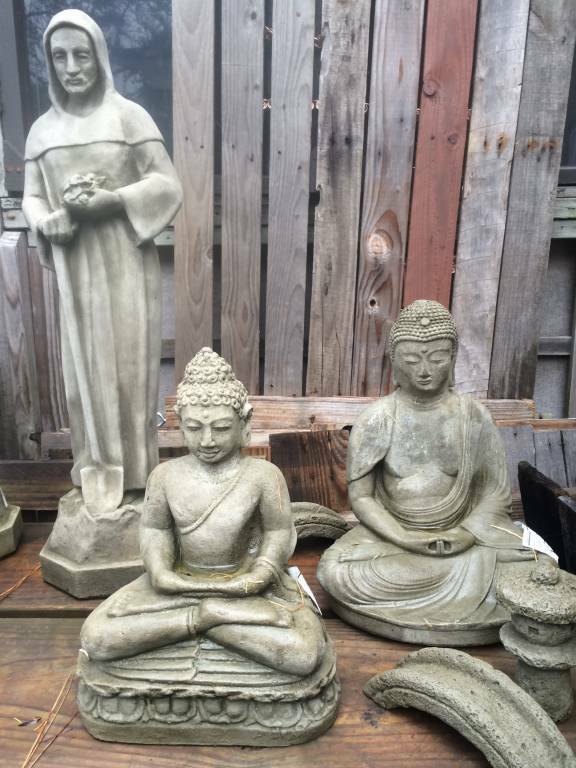 Perhaps you’re more inclined toward religious statuary…we have Saint Fiacre (The patron saint of the garden. 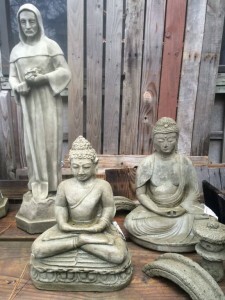 ), Saint Francis, or the choice of Buddhas for your tranquil piece of earth. Soon more and more plants will arrive, and spring will too. 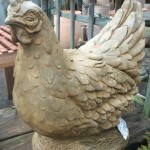 Until then though, stop by to stroll the greenhouse and browse. 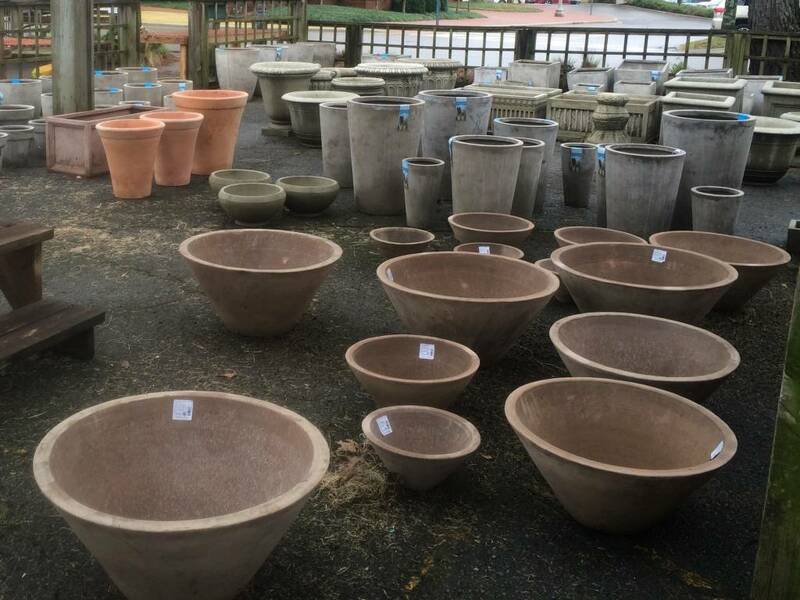 You might spot the perfect planter, a gift for a friend – or both! This entry was posted in Statuary and tagged birdbaths, gnome statuary, hen statuary, lightweight pots, new pots 2016, planters, rooster statuary on January 17, 2016 by Kris Blevons.